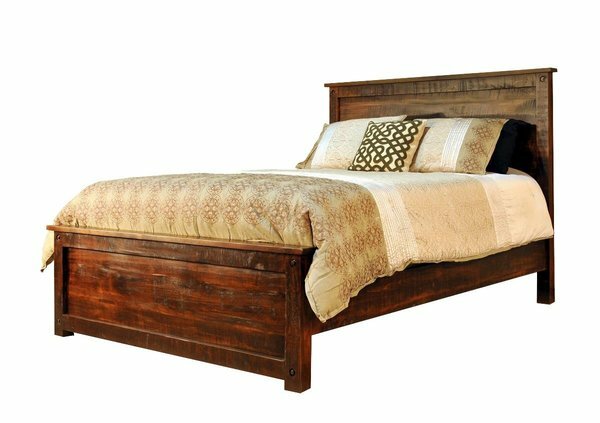 Cozy, warm, and inviting the Ruff Sawn Muskoka Bed will bathe you in comfort in your master bedroom or guest room. The Muskoka Bed commands the room with a display of rough sawn lumber that contributes to your rustic furniture collection with ease. A true rustic style is natural, combining organic textures and shapes to exude a natural warmth. The Muskoka combines rustic and modern, using rough sawn lumber to define its design. The result is warm, rugged furniture that is truly unforgettable. What is Rough Sawn Lumber? Rough sawn lumber displays the solid wood as close to the original cut as it can, displaying saw marks and pin holes that create a unique texture and appeal. The Muskoka Bed is shown in wormy maple wood that is rough sawn. Enjoy an heirloom-quality bed that will serve your family and future generations as well. Consider our collection of Amish Nightstands to use with your rustic bedroom decor. Review our popular blog post, "Country Glam" for more information on this popular style. Call one of our Amish Furniture Specialists today, toll-free at 866-272-6773 with any questions or visit our DutchCrafters Furniture Store in Sarasota, Florida to experience Amish furniture in person. Footboard Height - 22 1/2"